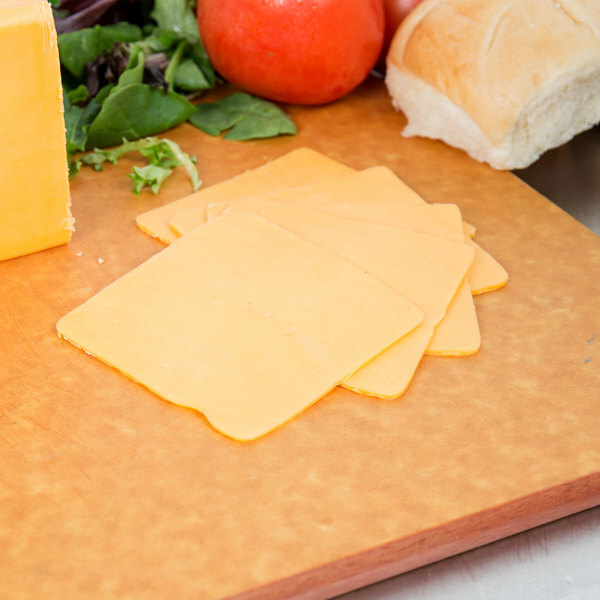 This AMPI yellow sharp cheddar cheese is perfect for sandwiches, specialty pizzas, or garnishing soups. The yellow color comes from a natural-plant based coloring made of annatto, which doesn't affect the taste. Aged for a longer time, this cheese has a bolder and more flavorful sharp taste that's more noticeable when eating. That bold flavor adds a slightly bitter edge, and it's sure to be a favorite amongst your customers. 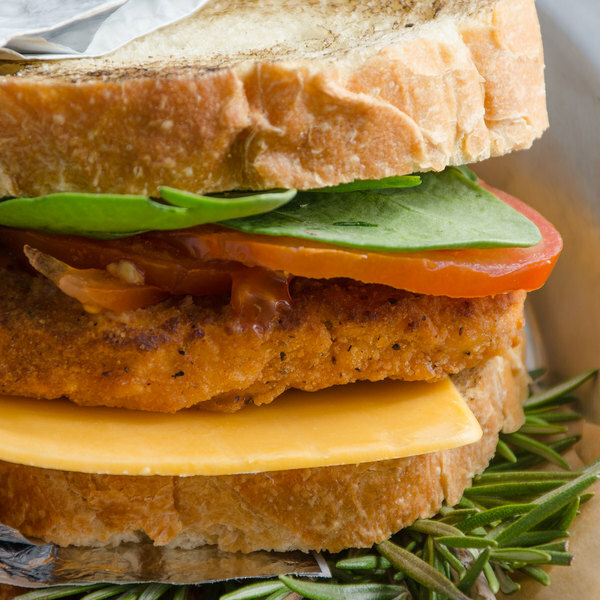 The semi-firm consistency can be cut into cubes, chunks, or sliced thin for sandwiches too. 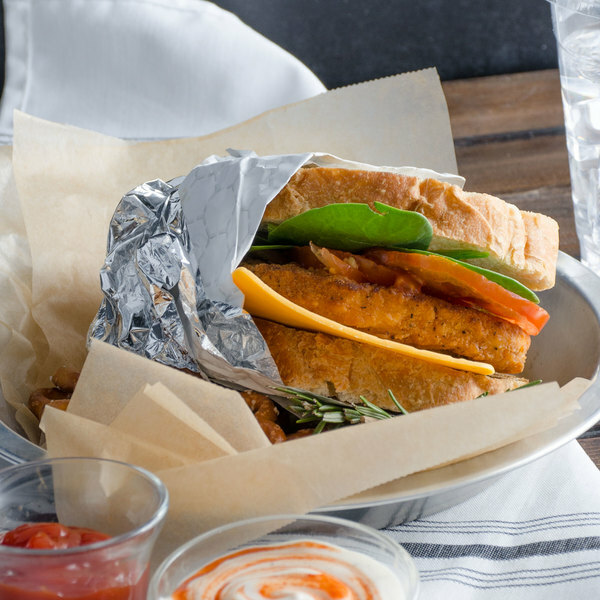 While versatile for use in any meal, it can also add a great twist to beloved classic recipes. Create a fresh, home-styled mac and cheese side by taking macaroni noodles, adding butter, cream, flour, pepper for taste, and then grating lots of this fresh sharp cheddar on top. While baking in the oven it creates a deliciously creamy and slightly crisp coating over the noodles, and guests will love the slightly bitter taste of the cheese contrasted with the creamy texture while eating this dish. 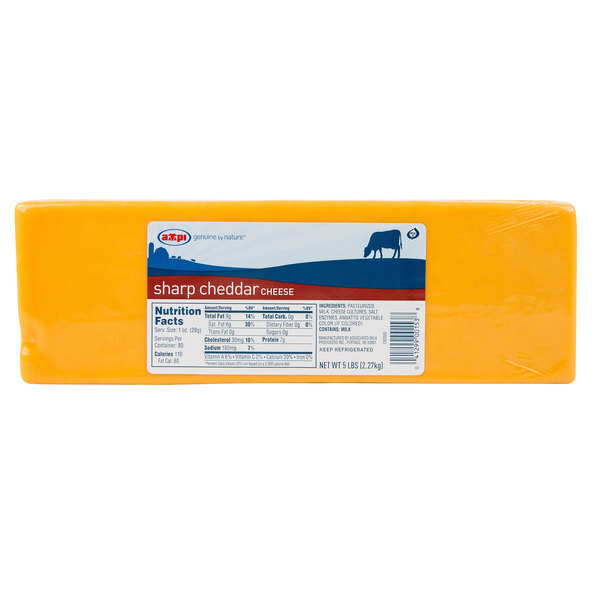 This sharp cheddar cheese comes sealed in durable plastic wrap to keep it fresh and protected during shipment. Regardless of whether you're filling out a charcuterie board or topping an award winning sandwich, this cheese is sure to be a crowd pleaser. Based in the heart of cheese country in Wisconsin, Minnesota, and Iowa, AMPI is dedicated to producing quality cheeses for foodservice and retail customers. AMPI is owned and operated by dairy farmers and milk is produced on family-run farms. The result is an outstanding commitment to providing quality care in their animals to ensure the use of only the highest-quality milk in the production of their cheeses. With a variety of award-winning flavors that are internationally recognized, AMPI is a name you can trust for outstanding cheeses. Real sharp cheese at a reasonable price. From experience, I can say this has a decently long shelf life so even if you don't use everything in 1 or 2 weeks, the taste barely changes.